Joker Teaser Trailer Is Here! You’d think Jon Stewart’s screenwriting/directorial debut would be some type of comedy but that’s not the case. Stewart has made an excellent drama with a good performance from Gael García Bernal. Definitely worth checking out if you’re a fan of the Daily Show and know the story behind this. 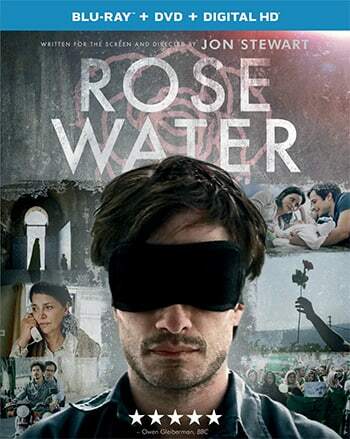 Rosewater is based on a true story about London-based Iranian/Canadian journalist Maziar Bahari (Gael García Bernal) who spent 118 days in Evin Prison in Iran. He was apart of a satirical interview with Jason Jones that aired on The Daily Show about the 2009 Presidential election. Bahari filmed the protests and the violence from the results of the election and got arrested shortly after for espionage. His interrogator, Rosewater (Kim Bodnia), questions Maziar for months while blindfolded, tortures and beatings to confess he is a spy. I didn’t know what to expect from Jon’s first movie but ended up liking it a lot. It wasn’t an overly complex movie to direct but since The Daily Show was likely cause of this, it makes sense for him to direct and write the movie. Bahari filming the protests and capturing people getting shot might have had something to do with it too. There were a few cool shots in the movie like when everybody was using social media to protest and the way Stewart did it was neat I thought. It’s like a sweeping shot of a laptop and then the camera goes into the laptop; then the camera shows everybody using different hashtags. Then the hashtags text fill up Tehran’s cityscape. It’s hard to explain but was executed awesomely. The performance of Gael García Bernal was great and Kim Bodnia’s played a real jerkoff quite well. I don’t know what I would do if I was Maziar Bahari situation, probably laugh about it in the beginning too. It’s just crazy to think that just for doing an interview on a political comedy show, your country would think you’re a spy for them. It’s funny but not really; it’s kind of scary actually. The special features were extremely weak. I thought I’d get maybe 5-10 minutes each featurette and they ended up being less than a minute each. Why even have these so-called featurettes? I would have liked to have seen Jon’s process and some behind the scenes stuff. Instead we get this Vine-like videos and it’s passed off like it’s a featurettes. Oh well. Regardless of the sucky “bonus” features, Rosewater is a good movie with great performances. I just don’t know if its the type of movie I’d want to watch over and over. Nick Jonas of the Jonas Brothers is adopted! © 1996-2019 ReadJunk.com. All Rights Reserved.